A Kit SKU is a SKU that either has multiple units of an underlying SKU (aka "Pack") or multiple underlying SKUs (aka "Bundle"). On the Catalog page, click the pencil icon button on the bottom right of the page. Enter your SKU, click the blue 'check' button on the bottom right to save. Click the 3-dot icon at the top of the left sidebar and click Make Kit. Enter the SKU you want to include into the SKU field and click SEARCH. Repeat until all underlying SKUs are included. 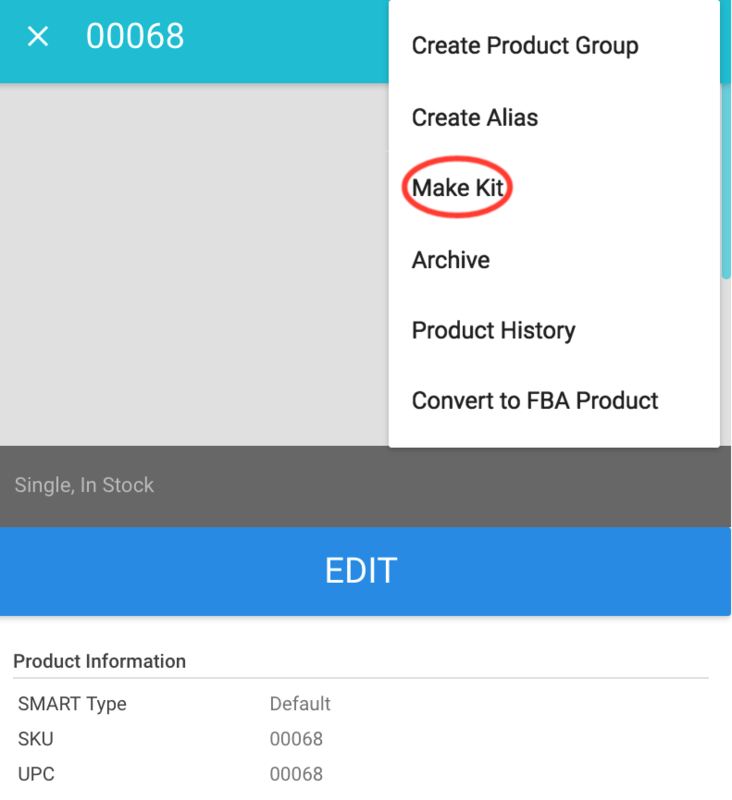 If the Kit will have multiple units per underlying SKU -- Click the + button for the product in the Kit Contents section until it shows the # of units desired. Find the SKU in the Catalog table and click on it. Below is an example inventory of an individual SKU's quantity, this SKU is used for a Kit SKU that is a 2-pack of the individual SKU. 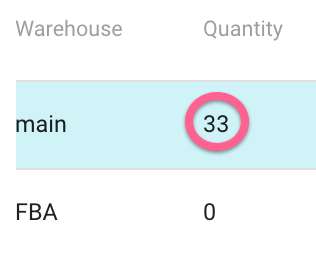 The quantity for the individual SKU at the main warehouse is 33. For the 2-pack Kit, the highest number of possible 2-packs is 16, which is reflected on the quantity of the Kit SKU below. "Assembled Quantity" refers to the number of packages that already exist and are pre-packaged rather than the quantity Zentail is grouping together when you create a Kit. To create Kit SKUs in bulk, we have created a template for you to use. The left column is the kit SKU. 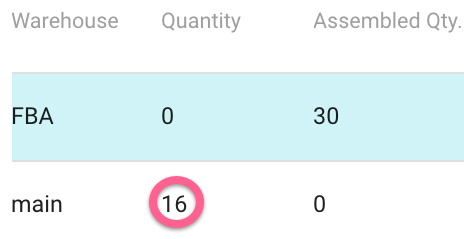 The rest of the columns in the row should include which SKUs to include in the kit or bundle, followed by how many units of that SKU to include. For example, column B would contain component SKU-A and column C would contain the units of SKU-A to include in the kit. Additional components and quantities can also be added, so column D could contain a second component SKU-B and column E would contain the units of SKU-B to include in the kit. Once filled out, please contact [email protected] and attach the template to be uploaded.